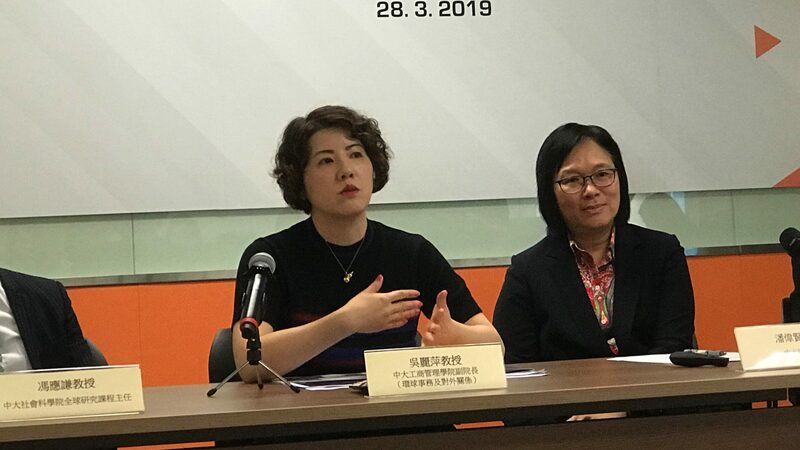 CUHK announces collaborations with five world-class tertiary institutions to offer dual undergraduate degree programmes. The Chinese University of Hong Kong (CUHK) announces collaborations with five world-class tertiary institutions including, Peking University (PKU), Tsinghua University (Tsinghua), Waseda University (WU) in Japan, IE Business School in Spain and Cass Business School of City, University of London (City, U of London) in the UK, to offer dual undergraduate degree programmes. The collaboration not only strengthens the engagement between CUHK and the partner institutions and the learning experience of their students, it means that, together, they will nurture graduates who will be global leaders with aspirations and competencies to make lifelong contributions to society. Moreover, it provides more choices in tertiary education and helps students to expand their global vision and personal networks so that they become better equipped in the global job market. The two dual bachelor’s degree programmes will be offered initially in Computer Sciences and Economics. The first intake is expected in the academic year 2020-21. Students who complete the programme will receive a bachelor’s degree from both CUHK and Tsinghua. CUHK has had a long term collaboration with Tsinghua since 1985 when the first bilateral collaboration agreement was signed. The newly established collaboration in academic programmes will further use education resources to deepen the collaboration and help bring out students of distinction. Tsinghua becomes the highest-ranking university in Asia, according to the Times Higher Education World University Rankings 2019. The two dual bachelor’s degree programmes will be offered initially in Chinese Language and Literature and in Linguistics. The first batch of students will be admitted in the academic year of 2019-20. Students who complete the 4-year programme will receive bachelor’s degree certificates from both CUHK and PKU. 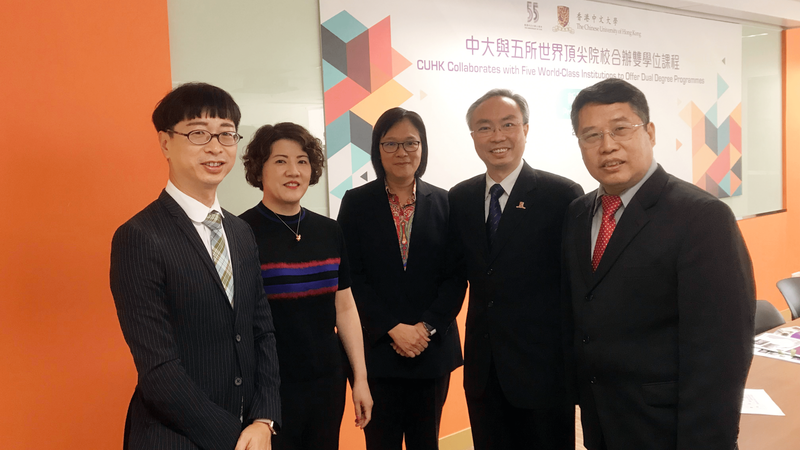 Since the signing of a partnership agreement in 1980s, CUHK has been in a close collaborative relationship with PKU in areas of research development, talent development as well as student interflow and has achieved fruitful results. PKU is ranked sixth in Asia in Times Higher Education World University Rankings 2019. The Ministry of Education released detailed lists of first-class universities and first-class disciplines in 2017 (The “Double First-Class” initiative). Both Tsinghua and PKU are on the list. Both the Computer Science and Technology and Economics subjects from Tsinghua as well as PKU’s Chinese Language and Literature as well as Linguistics subjects are recognised as double first-class disciplines. The first intake is expected to be admitted into CUHK and WU in the academic year 2019-20 and study in the home university for the first two years and in the partner university for the remaining two years. Upon successful completion of graduation requirements, students will be awarded with bachelor’s degree from both CUHK and WU. CUHK and WU have a long history of collaboration with the first formal partnership established in 2002. Building on a solid foundation of collaboration, the two universities will introduce dual degree programmes with a primary focus on the discipline of social science. As a private research university in Tokyo, Japan, WU has been a world renowned university. WU was selected by the Japanese Government as one of the 13 Type A universities under the Top Global University Project. The first intake is expected to be admitted into CUHK and IE Business School in the academic year 2019-20. Students admitted into CUHK will study at IE Business School during the second and third academic years. Students admitted into IE Business School will spend the first two academic years there and continue their studies in CUHK in the third and fourth academic years (i.e. 2021-22 and 2022-23 academic years). Students who complete the programme and meet the graduation requirements of both universities will receive Bachelor of Business Administration degrees from CUHK and IE Business School. As an international institution, IE Business School places much emphasis on innovation and entrepreneurship, and its MBA programme was ranked 31st worldwide by the Financial Times in 2019. The first intake is expected to be admitted into CUHK and City, U of London in the academic year 2020-21. Students will study in the partnering university in their second and in the fourth academic years. Upon successful completion of graduation requirements, students will be awarded with Bachelor of Business Administration in Integrated Business Administration and Bachelor of Science in Business Management by City, U of London. City, U of London was ranked fifth in the UK in the Financial Times Business School Ranking 2018. This press release was first published in the CUHK website.